This is an archived article, kept online for reference purposes. It contains information that was correct at the time of publishing but will have been superceded in the meantime. 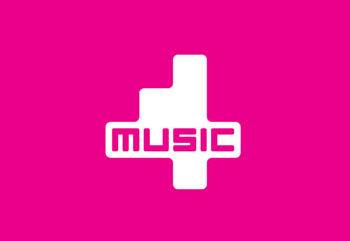 UPDATE | Following the removal of encryption at the beginning of the week, music entertainment channel 4Music has joined Freesat. The channel launches on 509, taking the channel number previously used by The Box. The long-awaited launch reduces the number of key Freeview channels that aren't available on Freesat. Viewers have been calling for the channel to be on the free-to-air satellite service since it launched back in 2008. “We’re pretty excited to bring our leading youth channel 4Music into Freesat homes, offering up great music, comedy, reality and entertainment shows. It’s particularly good timing just days before our UK premiere of The Grammys”. The addition comes toward the end of a busy week for Freesat, which revamped its EPG genres at the beginning of the week. With the addition of 4Music, The Box has left Freesat's channel list, part of an ongoing pattern of music channels broadcasting free-to-air on satellite, but choosing not to appear in the channel line-up featured on Freesat boxes. If you have a newer Humax Freesat box, check out this YouTube guide from TV Trade Dave on how to manually tune your receiver. On Manhattan Freesat boxes, press menu, go to "system" and select "add non-Freesat channels" and use the parameters shown above. If you follow this method, the exact channel number The Box, Box Fresh and Box Upfront will appear on will vary from box to box, as non-Freesat channels don't have fixed numbers like Freesat channel numbers do.